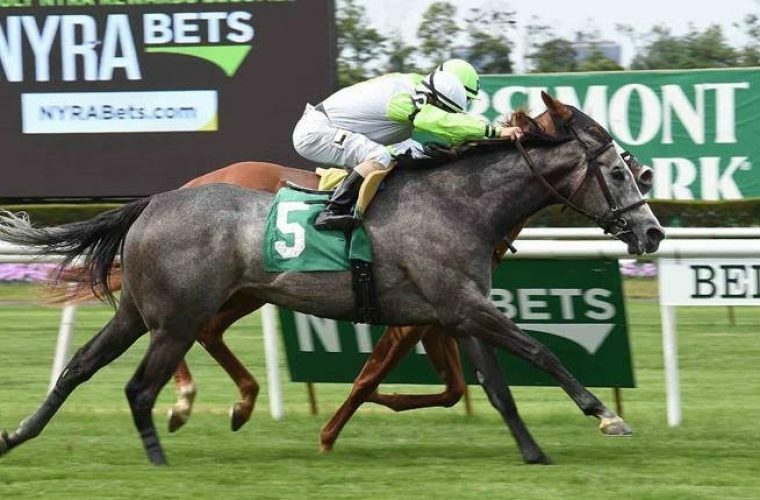 Stormy Victoria (FR) winning by a nose in July at Belmont Park. Adding to our Triple Crown success the first half of 2016 was also highlighted by two BSW Bloodstock European purchases. Stormy Victoria (FR) and Desiree Clary (GER) were purchased in 2015 and both made winning debuts for new owners at Belmont Park. 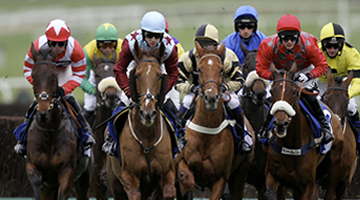 Stormy Victoria (FR) was purchased on behalf of Tango Uniform Racing (Marc Levine), The Elkstone Group, LLC (Stuart Grant), and Highclere America at the 2015 Saint Cloud Arc de Triomphe’ Sale in 2015 for $130,000. 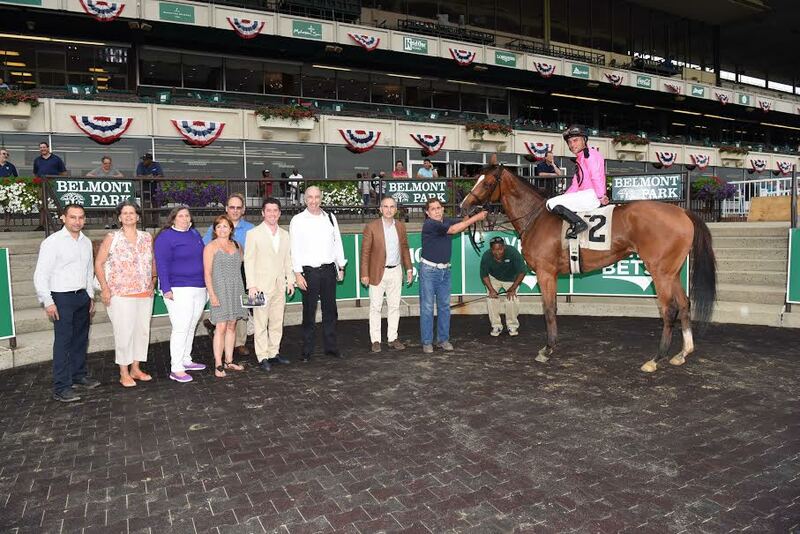 She acclimated well for Christophe Clement and made a nice debut on April 29th at Belmont, winning with a hard closing kick by a 1/2 length. 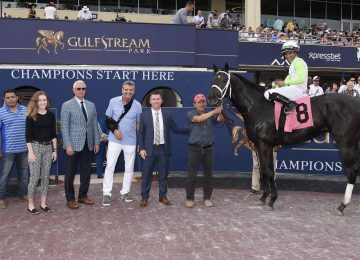 She set a new track record of 1:19.47 for seven furlongs on the turf and was about as impressive of a victory as you’d want to see. She went on to run 5th in the (G2) Nassua Stakes at Woodbine on May 29th, and came back to win again on July 3rd at Belmont. She has a bright future ahead of her after posting a 91 Beyer and 6+ Ragozin. She is pointed for the $100,000 De La Rose Stakes on Saturday, August 6th going one mile on the turf. Click here to view Stormy Victoria’s DRF Past Performances and her Thoro-Graph Sheets. 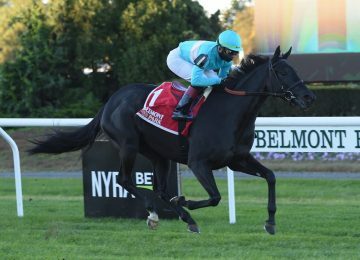 Desiree Clary (GER) followed that up with an impressive U.S. debut at Belmont on July 8th for owners Gary Barber, Merrylegs Farms, and Robert Schaedle, III. Trainer Christophe Clement was very patient with this filly after she was purchased privately in 2015 for this ownership group. She was five wide at the top of the stretch and got up just in time to win by a nose. 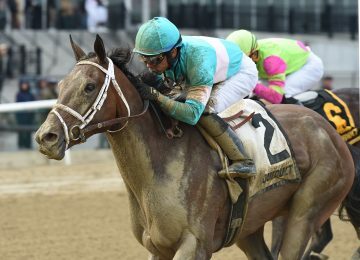 She will move forward to Stakes as well and point for the (G3) Waya Stakes at Saratoga on Saturday, August 6th going 1 1/2 on the turf. Click here to view Desiree Clary’s Thoro-Graph Sheets and her Past Performances. We are looking forward to this summer at Saratoga and watching these nice fillies continue to develop.